With an assortment of cadenzas. Jerome Lowenthal, piano; Carl Topilow, unnamed orchestra. LP Classics 1008 A/B (2-disc set). My Random House Dictionary defines a cadenza as "an elaborate flourish or showy solo passage, sometimes improvised, introduced near the end of an aria or a movement of a concerto." I mention this at the outset because that's the idea behind this recording of Beethoven's Fourth Piano Concerto. That is, Beethoven wrote cadenzas for the first and third movements of the concerto, and since Beethoven's time other composers have offered their own. 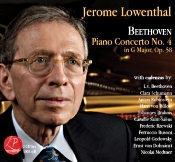 On the present album pianist Jerome Lowenthal has gathered together twenty such cadenzas by eleven different composers and presents them along with the concerto itself on two compact discs. The idea is to hear, compare, and enjoy these various cadenzas from the nineteenth century to our own. It does, indeed, make for fascinating listening, especially in the capable hands of Mr. Lowenthal. For the benefit of those of you who may not know Mr. Lowenthal, his Wikipedia page describes him as an American classical pianist, a member of the piano faculty at the Juilliard School in New York, where he was also chair of the piano department. 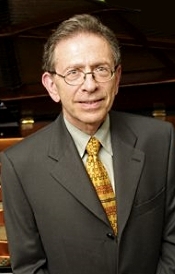 Additionally, Lowenthal is on the faculty at Music Academy of the West in Santa Barbara, California. He made his debut at thirteen with the Philadelphia Orchestra; then, returning to the United States from Jerusalem in 1963, he made his debut with the New York Philharmonic, playing Bartók's Piano Concerto No. 2. Since then, he has performed with such conductors as Daniel Barenboim, Seiji Ozawa, Michael Tilson Thomas, Yuri Temirkanov, Leonard Slatkin, Leonard Bernstein, Eugene Ormandy, Pierre Monteux, and Leopold Stokowski. He has played sonatas with Itzhak Perlman, piano duos with Ronit Amir, his late wife, and Ursula Oppens, as well as quintets with the Lark Quartet, Avalon Quartet, and Shanghai Quartet. His studies included lessons with Olga Samaroff in Philadelphia, William Kapell and Eduard Steuermann at the Juilliard School in New York, and Alfred Cortot at the École Normale de Musique de Paris. He was a prizewinner at the Queen Elisabeth Music Competition in Brussels (1960) and the Busoni Competition, and he is frequently a judge in international piano competitions. So, here's what we have on the two CD's under review. Disc one contains the piano concerto itself plus two cadenzas by Beethoven, first and third movements; then first and third-movement cadenzas by Clara Schumann, Anton Rubinstein, Hans Von Bulow, Johannes Brahms, and Camille Saint-Saens. Disc two contains the concerto again, this time with first and third-movement cadenzas by Frederic Rzewski, Ferruccio Busoni, Leopold Godowsky, Ernst Von Dohnanyi, and Nicolai Medtner. As for the Piano Concerto No. 4 in G Major, Op. 58, Beethoven (1770-1827) wrote it between 1805 and 1806, premiering it in 1807 with the composer himself as soloist. For most of us, it's the concerto on the album that matters and how Mr. Lowenthal plays it because if he doesn't do it justice, none of the following cadenzas would make much difference. Fortunately, Lowenthal does do the piece and the ensuing cadenzas justice. The concerto begins with a brief piano solo, projected with authority by Mr. Lowenthal. He handles the solo part with authority, and the orchestra provides a gentle, restrained accompaniment. But it's really Lowenthal's presence one needs to consider. He displays a complete mastery of the piano while offering an unmannered performance. You won't find any histrionics here, nothing that would set his playing apart as eccentric or showy. It is a charming realization of Beethoven, virtuosic yet reserved. As an interpretation, Lowenthal's reading may lack some color, but that isn't the point. He is not trying to impose his own personality on the music but let it speak for itself. In particular, he is trying to show and compare the various cadenzas, which requires him to be as objective as possible. So, yes, his is a fine, honest realization of the work. Now, about those cadenzas. The first of these are by Clara Schumann. They seem steeped in high Romanticism, yet they are fairly plain and graceful, too. Although Beethoven left instructions that the third-movement cadenza be short, Schumann's is relatively lengthy (only Rubinstein's is longer). Whatever, it tends to repeat earlier material from the concerto, giving it a more unifying quality than most such cadenzas. Her pieces are quite charming. Anton Rubinstein was among the more-controversial pianists of the nineteenth century, loved by most listeners, hated by others. His cadenzas reflect this attitude, being some of the most forceful in the collection, his third-movement cadenza seeming to go on forever. Hans von Bulow was a contemporary of Rubinstein and an equally gifted composer-pianist who left definite, and sometimes contradictory, impressions on his listeners. Understandably, his cadenzas are also strongly enlivening. Then there's Brahms. These cadenzas sound as though they belong in one of Brahms's own concertos yet have a sweet, touching quality about them, too. The third-movement cadenza is brief and to the point; Beethoven would surely have approved. Disc one ends with cadenzas from Camille Saint-Saens. They seem almost impressionistic by comparison to the previous cadenzas on the album. Still, they are lovely, and Lowenthal plays them lovingly. For the main performance of the concerto on disc two, Lowenthal gives us a new first-movement cadenza by Frederic Rzewski (b. 1938) that he wrote just for Lowenthal. However, Rzewski requested that Lowenthal play it with improvisation and spontaneity. Lowenthal says he complied, and while it's as effective a cadenza as any, it clearly betrays its modern origins in its less melodious, slightly more discordant structure. I think it works better on its own than integrated into the Beethoven work. Ferruccio Busoni won first prize in a competition with, among other things, his Beethoven cadenzas, and they helped launch his career. They are among the more vibrant of the cadenzas on the program. Leopold Godowsky was another important pianist-composer of the early twentieth century, and his cadenzas struck me as being rather ornate, well embroidered as it were. They are a little more showy than the others, perhaps because Godowski himself enjoyed impressing his audience with his own skills. Finally, we get the cadenzas of Ernst von Dohnanyi and Nicolai Medtner, both composer-pianists of the late nineteenth to early twentieth centuries. Of the two, Dohnanyi appears more to adhere to Beethoven's original ideas and Medtner to stray off to his own ground. Lowenthal admits that Medtner's cadenzas are his favorites, and while I cannot entirely agree with him, certainly Lowenthal gives them a worthy showing in bravura style and refinement. Producer/editor Alan Bise and engineer Bruce Egre made the recording in Cleveland, Ohio in 2007, and LP Classics released it in 2014. The sound comes across beautifully balanced, not only left and right but among the instruments, with no frequencies standing out or recessed and the piano realistically centered, neither too close nor too distant. Smooth and polished, the sonics are half the pleasure one gets from the album, the piano well defined amidst a lightly reverberant acoustic. 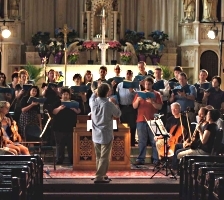 The St. Charles Singers will launch its 31st season with choral music by Mozart plus three of the composer's short instrumental "Church Sonatas" at concerts at 8 p.m. on Saturday, October 4, in the chapel of the National Shrine of St. Frances Xavier Cabrini, 2520 N. Lakeview Ave., Chicago; and at 4 p.m. on Sunday, October 5, at Baker Memorial United Methodist Church, 307 Cedar Ave., St. Charles, Il. The "Mozart IX: Journey's Lamp Light" program, conducted by Jeffrey Hunt, will be the ninth and newest installment of the St. Charles Singers' ambitious, multiyear Mozart Journey project during which the choir will present all of the composer's sacred choral music. The program takes its name from the text of one of the pieces on the program, Mozart's rarely heard "Scande coeli limina" (Ascend heaven's thresholds) in C Major, K. 34. A line in the Benedictine poem refers to torch lights illuminating the path to heaven. The short, upbeat work is one of many unfamiliar treasures being heard in the course of the St. Charles Singers' Mozart Journey, says Hunt, the choir's founder and artistic director. The October concerts will be the first to feature an intimately scaled ensemble of just sixteen of the professional, mixed-voice chamber choir's nearly 40 singers. "We want to vary the aural and visual scenery for concertgoers who've been following us on the Mozart Journey," Hunt says. The concert's compact choral and instrumental forces also are ideal for the acoustics of the 300-seat Cabrini chapel, he says. Another twist: Hunt is programming for the first time some of Mozart's "Church Sonatas," written for Austria's Salzburg Cathedral. And he's doing so in the manner of Mozart's day. The Church Sonata in C Major, K. 278, for two oboes, two trumpets, two violins, timpani, and organ, will be played between the "Gloria" and "Credo" sections of the tuneful Missa in C Major, "Credo," K. 257. "The Credo Mass abounds with immensely attractive melodies in the spirit of Mozart's memorable opera arias," Hunt says. Mozart's Church Sonatas in E-flat major, K. 67, and G Major, K. 274, for strings and organ will be performed back to back elsewhere in the program. The concert's choral repertoire will also include Mozart's splendorous, refined "Regina coeli" (Queen of heaven) in C Major, K. 276, and the unaccompanied, Renaissance-style "Quaerite primum regnum Dei" (Seek ye first the kingdom of God) in D Minor, K. 86, from the composer's youth. Hunt says the program will present a diverse sampling of Mozart's choral writing and "a variety of vocal colors and textures," with passages showcasing soloists, quartets, and full choir. Single tickets for the October Mozart Journey concerts are $35 adult general admission, $30 for seniors 65 and older, and $10 for students. Orpheus Chamber Orchestra's 2014-15 season features its annual concert series at Carnegie Hall, three world premieres of Orpheus-commissioned works, a seven-city tour in Europe, a return to California, and the expansion of the Access Orpheus program in New York schools. The world premieres are part of American Notes, Orpheus' new commissioning initiative of works from composers who represent varied perspectives on American music. The composers chosen for American Notes this season are American-born, Brooklyn-based composer-pianist Timo Andres, British-born, Chicago-based composer Anna Clyne, and Turkish composer-pianist Fazl Say. Mr. Say also performs as piano soloist with Orpheus at Carnegie Hall and on the European tour as part of the roster of guest soloists making their Orpheus debuts this season, which includes violinists Jennifer Koh and Augustin Dumay. Pianist Jonathan Biss returns as guest soloist with Orpheus to open its 42nd season. The full 2014-15 season schedule and details of concerts at Carnegie and on tour are listed at the Web sites below. 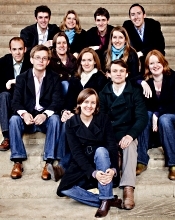 Subscriptions to the Carnegie concerts are available through Orpheus at (212) 896-1704 or www.orpheusnyc.org. Single tickets may be purchased from Carnegie Hall through the box office at (212) 247-7800 or www.carnegiehall.org starting today at 11 a.m.
On the heels of a notable 2013–2014 season that included an appearance at Carnegie Hall, a Pulitzer Prize–winning commission and a launch of an in-house record label, Music Director Ludovic Morlot and the Seattle Symphony embark upon their fourth season together. In the coming season the Symphony will venture deeper into cross-genre concert presentations, further its commitment to supporting composers of our time, continue its prolific track record in the recording studio, dive into major symphonic repertoire and, above all, invest in the Puget Sound community with a wide spectrum of community and education initiatives. The Seattle Symphony champions musical voices of our time, this season presenting a total of nine commissions or co-commissions. The Symphony's commission Become Ocean by John Luther Adams won a Pulitzer Prize in Music earlier in 2014. During the 2014–2015 season, Mason Bates's new Cello Concerto will receive its world-premiere performance on December 11 at the Seattle Symphony, one of three co-commissioners for the piece. On April 23, echoing a worldwide commemoration of WWI, Sebastian Currier's "Divisions" will be performed for the first time by the Seattle Symphony, also a co-commissioner along with the Boston Symphony and National Orchestra of Belgium. 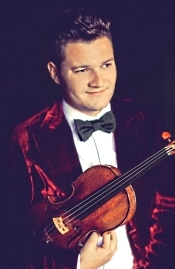 Then on June 11, a new violin concerto by Julian Anderson, former classmate of Morlot at the Royal Academy of Music in London, will receive its U.S. premiere in Seattle. Co-commissioners for this composition are the Seattle Symphony, London Philharmonic Orchestra and Deutsches Symphonie-Orchester Berlin. Other commissions and co-commissions on this season's programs include works by Colin Matthews, Yugo Kanno, Yann Robin, Angelique Poteat, Trimpin and Mike McCready. Cameron will undoubtedly perform selections from his new Sony release If You Could Read My Mind as well as introduce NY audiences to new material. After a dazzling debut at Lincoln Center on March 9 in which its sound was described by The New York Times as "quite terrific," Cameron Carpenter's revolutionary International Touring Organ returns to New York City on October 23 at 8:00pm at The Town Hall NYC (123 W. 43rd Street). This performance marks the beginning of Carpenter's U.S. tour celebrating the release of his debut album for Sony Classical, If You Could Read My Mind, which showcases the full range of Carpenter's – and the ITO's – abilities. Ticket prices range from $45-$100; call 800.982.2787 or click here to purchase. $100 tickets include access to a post-concert reception with Carpenter. Pianist Orion Weiss and Salzburg Marionette Theater Embark on 11-City North American Tour October and November 2014. Performances of Debussy's charming La Boîte aux Jouxjoux (The Toy Box) and Schumann's Papillons at the Met Museum, Kennedy Center, and in Portland, Calgary, Toronto, Ottawa and Castleton celebrates the Salzburg Marionette Theater's centenary. Orion Weiss's Scarlatti Sonatas also slated for release on Naxos on October 28, 2014. This fall, Pianist Orion Weiss together with the Salzburg Marionette Theater will appear in eleven cities throughout North America to perform a story-driven recital program including Debussy's theatrical and musical work La Boîte à Joujoux (The Toy Box) and Robert Schumann's Papillons. Additionally, Naxos will release a disc of Domenico Scarlatti's piano sonatas, selected and performed by Orion Weiss, on October 28. From Friday, October 24th, to November 16th, 2014, Orion Weiss will perform in recital on an 11-city tour of the U.S. and Canada, including stops at the Metropolitan Museum of Art in New York, Washington DC's Kennedy Center and in Portland and Toronto. The story-driven program opens with solo pieces by Robert Schumann including Papillons, a series of short dances depicting a parade of characters at a masked ball, here brought to life by four puppeteers of The Salzburg Marionette Theater which this year celebrates its 100th anniversary. The first half closes with the composer's Blumenstück (Flower Song) and Novelette. For the second half of the recital, The Salzburg Marionette Theater will join Orion onstage for a performance of Claude Debussy's La Boîte à Joujoux (The Toy Box), a fanciful and rarely heard piece the composer wrote for his daughter in 1913. To learn more about Orion Weiss, please visit: http://www.orionweiss.com/. For more on the Salzburg Marionette Theater, visit: http://www.marionetten.at/index.php. We're excited to present our first program of the season starting today, Sunday, Sept. 28 in Geneva, Il. Please note that we've had a location change for the Geneva concert; it will be held at the WEST campus of First Baptist Church of Geneva, rather than our usual east campus location. The west campus is just 1.5 miles west of the east campus, at Peck and Keslinger: 3435 Keslinger Rd., Geneva, Il. From the front of the east church, take Keslinger Rd. 1.5 miles west, and you will arrive at the west campus. Our first concert captures our season theme to a tee (A Taste of Chicago, A World of Romance), as we "step out" and present several jazz works by a Chicago composer, alongside a beloved jewel of the chamber repertoire. I am a proud Atlantan. I have made my home here since 2001 and have loved the vitality and aspiration of my adopted city. I have also had the privilege and honor of being at the helm of one of the great musical institutions of our country. The excellence that defines the Atlanta Symphony Orchestra is rich with tradition: the profound legacy of Robert Shaw, a celebrated recording history -- including 27 Grammy Awards -- an historical and ongoing commitment to new and American music, path-breaking theatrical presentations, The Atlanta Symphony Youth Orchestra and Talent Development Program, whose alumni are testament to their importance, and standard setting performances of the choral-orchestral repertoire with the legendary Atlanta Symphony Orchestra Chorus. If this dynamic cultural institution is lost, it will be a blow to the musical life of our country and to music lovers everywhere. More importantly, for Atlantans, it will be a tragic loss for our city. In the life of any great city beats the heart of a vibrant culture. The ASO has been a cornerstone of Atlanta for decades. Now we need no longer only imagine our city without the ASO. Concerts are currently canceled, and the brilliant and talented musicians who are the lifeblood of our orchestra are locked out. Many have dispersed to seek employment elsewhere. As Atlantans, we must rise to the challenge of supporting and sustaining this treasure at the level of excellence we have known and are deservedly proud. The erosion of cultural life is a sure sign of the decay of civilization. But crisis can lead to opportunity, and ours is now. We can be the "shining city on a hill." On Le Bonheur, classic songs get a twist of what The New York Times called the "personality plus" of irrepressible vocalist Storm Large, whose singular career has traversed the West Coast club scene, reality television, symphony engagements and international concert halls with beloved retro-chic band Pink Martini. Storm will perform from this one-of-a-kind album at Joe's Pub (425 Lafayette Street) in New York City on October 23 at 10:00pm, and October 24-25 at 9:30pm. Tickets are $27 in advance and $32 at the door. Purchase tickets on-line or call 212-967-7555 for the box office. On this first release for Storm on Heinz Records, American songbook classics like Cole Porter's "I've Got You Under My Skin" and Richard Rodgers' "The Lady is a Tramp" shimmy up next to Black Sabbath's "N.I.B." and Lou Reed's "Satellite of Love," each reimagined in sparkling Technicolor arrangements. She shifts seamlessly between French and English during Jacques Brel's famous heartbreaker "Ne me quitte pas" and adds honeyed harmonies while digging into the emotional core of "Unchained Melody," then unleashes a brassy rendition of Cole Porter's "It's All Right With Me," in which Weimar meets fiddle funk. Two original tunes penned by Storm—"A Woman's Heart" and "Stand up for Me"—suspend her smoky tones in expansive gospel choruses. Alison Balsom, trumpet; various guest artists; Guy Barker and Timothy Redmond, The Guy Barker Orchestra. Warner Classics 0825646327898. By now almost everyone knows Alison Balsom; in the past decade or so she has become probably the most well-known and well-liked concert trumpeter in the world. In case you don't know her, the British trumpet soloist has been playing trumpet professionally since 2001; she is a multiple award winner with a slew of albums to her credit; she was the former principal trumpet of the London Chamber Orchestra; and she's a Visiting Professor of Trumpet at the Guildhall School of Music and Drama. More important, she is a darn fine trumpet player. I read a while back that she credits legendary jazz great Dizzy Gillespie as her inspiration, so if you hear any signs of casual, easy, improvisational, modern-jazz inflections in her playing, well, you know where they probably came from. Most of Ms. Balsom's recordings have been theme albums, and this one is no different. She writes of it, "The concept of this album has been a long time coming. I'm constantly looking for different ways to demonstrate the many voices of the trumpet, and to prove that we don't need to define our musical tastes by genre. So about two years ago, I decided that it was time to explore a different style for this next project. I was initially inspired by Gil Evans and his masterful reworking of Rodrigo's Concierto de Aranjuez into the iconic Sketches of Spain for Miles Davis. I wondered if we could follow this bold concept of moving through the classical world and then beyond, with new orchestrations and unique colours." Thus, we find Ms. Balsom performing twelve arrangements for trumpet and orchestra (or trumpet and guitar) by eight French, Argentinean, Hungarian, and Romani composers, all of the pieces flirting with the idea of Paris at their center. Accompanying Ms. Balsom on various items are several other well-known performers: guitarists Milos Karadaglic and Al Cherry and pianist Grant Windsor and on almost all the tracks by the Guy Barker Orchestra under the director of either Guy Barker or Timothy Redmond. The selections include Erik Satie's Gymnopedie No. 1 and Gnossienne No. 3; Astor Piazzolla's Cafe 1930 and Oblivion; Michel Legrand's La Valse des Lilas; Olivier Messiaen's Le Baiser de l'Enfant Jesus; Maurice Ravel's Piece en forme de Habanera and Piano Concerto in G major (Adagio assai); Joseph Kosma's Autumn Leaves; and Django Reinhardt's Nuages. I was not sure at first that the Satie pieces would work out too well with a solo trumpet and a seventy-or-so piece orchestra instead of a piano, but, in fact, Ms. Balsom's trumpet sound is deliciously sinuous and evocative, smooth and strong, the performer caressing each note and coaxing sweet nuances from the music. It's surprising how delicate, how gossamer-like, Ms. Balsom can make her trumpet react to her touch. It's like that throughout the program. In Piazolla's Cafe 1930, for example, Milos accompanies Ms. Balsom, and the guitar-trumpet pairing proves a winning combination, nicely capturing the dusky jazz-dance inflections of the score. Almost all of the selections on the program involve slightly melancholy jazz and blues-inflected music, and Ms. Balsom appears well attuned to the idiom. And so it goes. Among my favorites: Besides the Satie, I enjoyed the two Ravel pieces, especially the delightful Adagio, lovingly presented by Ms. Balsom and company with a good deal of obvious affection. The concluding Nuages also touched me and brought the program to a satisfying close. Drawbacks? Not many. Certainly not the performances, which are sterling. However, I would point out a minor issue: namely, that the disc's fifty-two-minute run time is more in line with a pop album than a classical album, the latter usually filling out a CD's seventy-nine-minute potential a little better. Producers Alison Balsom and Guy Barker and engineer and mixer Steve Price recorded the album at Angel Studios, London in May 2014. The sound is warm and round, with a mild hall resonance to help it along. The trumpet is rich, mellow, and luxuriant, nicely balanced with the orchestra. The orchestral support does not appear terribly well detailed but is lush and complementary. It's all a bit dreamy, actually, with great swaths of sound in as comfortable a setting as possible. It isn't an audiophile album, then, but more like one for quiet, romantic nights by the fire. Herbert von Karajan, Berlin Philharmonic Orchestra. DG 474 269-2 (2-disc set). For a long while it seemed as though Herbert von Karajan would always be around. I mean, when I was a kid growing up in the Fifties, Karajan was already an established superstar. 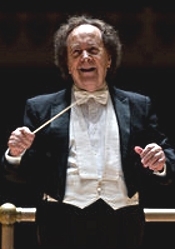 He was the leading conductor of the day when I began seriously collecting classical music in the Sixties; he was among the first to jump aboard when digital recording began in the Seventies; and he was there when Sony and Philips introduced CD's to the world in the Eighties. Now that he's gone, DG, for whom he made the bulk of his later recordings, have been reissuing everything he ever did, this collection of Grieg and Sibelius orchestral works just one in a series of two-disc compilations of his hits that DG began releasing in the early 2000's. The album begins on disc one with music of Edvard Grieg: Peer Gynt Suites Nos. 1 and 2; Holberg Suite; and Sigurd Jorsalfar: Three Orchestral Pieces. Disc two contains music of Jean Sibelius: Finlandia; Valse triste; The Swan of Tuonela; Pelléas et Mélisande; and Tapiola. Listening to the first tracks on disc one, the Peer Gynt Suites Nos. 1 and 2, reminds one of his magic. The music is letter-perfect, luxurious, and alluring as only Karajan could make it. Every note is polished to a luster, the great Berlin orchestra sounding fabulously plush and precise. 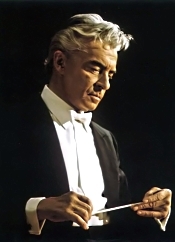 The orchestral sound alone would make Karajan the most famous conductor since Toscanini or Stokowski, but it would also create for him a few detractors as well, people who considered him a glamor boy over-embellishing the music he performed. Maybe, but it sure sounded nice. As I say, the two discs in this collection are each devoted to one of two famous Scandinavian composers, Grieg on disc one and Sibelius on disc two. 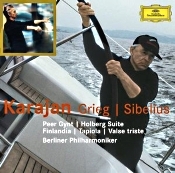 Of the two discs, I preferred the Sibelius because Karajan's way of music making seems best suited to Sibelius's larger-scale works. Grieg, on the other hand, would seem to benefit from a little more intimacy, something Karajan had trouble producing, at least here. Sibelius's Finlandia, Valse triste, and Pelleas et Melisande come off best, with great crescendos and soft whispers of sound piling forth and fairly smothering the listener with riches. The sonics, though, are typical of DG from the late Sixties to early Eighties. There is plenty of midrange presence, good detail, strong dynamics, and wide stereo imaging; but there is little top end, little bottom end, and little sparkle. It's perfect sound for mid-fi audio systems and car radios, where it was probably most-often heard when DG first produced it. But even digitally remastered at 96 kHz/24 bits can't improve what may not have been there in the first place. Karajan's fans won't mind, nor did I mind until I compared it to similar material on other labels. Note, for instance, the enormous difference in frequency range between Karajan's 1972 recording of the Peer Gynt music and Beecham's much earlier recording on EMI's "Great Recording of the Century," the Beecham sounding better than a lot of stuff made today. Still, it's the music that counts, and Karajan's set contains some of the man's most likable and characteristic work. Also, Introduction and Rondo Capriccioso; Jota Aragonese; Symphony No. 3 "Organ." Alexandre da Costa, violin; Marzio Conti, Oviedo Filarmonia. Warner Classics 0825646281442. As you may know, Alexandre Da Costa is a Canadian concert violinist and winner of the 2012 Juno Award, an honor given by the Canadian Academy of Recording Arts and Sciences to Canadian musical artists and bands to acknowledge their artistic and technical achievements. Or you may know him for his many fine recordings, including one I reviewed a while back of Lalo's Symphonie Espagnole. In a booklet note for the Lalo disc, Da Costa said that "a conductor once told me, 'If you play fast and you accelerate, it just shows fear. If you play slower and hold your tempo, it shows strength.'" That seems to be his musical philosophy here in Saint-Saens as well, the violinist holding back enough in reserve to spring tensions and create excitement all the more. On the present disc, Maestro Marzio Conti and the Oviedo Filarmonia accompany Da Costa on two violin-and-orchestra pieces--the Violin Concerto No. 3 and the Introduction and Rondo Capriccioso--and then the conductor and orchestra take things on their own with two orchestral pieces--the Jota Aragonese and the Symphony No. 3 "Organ." So, we begin with the Violin Concerto No. 3 in B minor, Op. 61, by French composer, conductor, and pianist Camille Saint-Saens (1835-1921). Saint-Saens dedicated the piece to the virtuoso violinist Pablo de Sarasate, who played it at the work's premiere in 1880. Saint-Saens reminds us from the outset of the concerto that he wanted Sarasate to play it by opening with an extended passage for violin. Da Costa's performing philosophy pays off as the bravura portions of the score stand out all the more for his keeping other parts in reserve. Because the music is quite melodious and Da Costa is a sensitive performer, he is able to keep us suitably entertained throughout the piece. 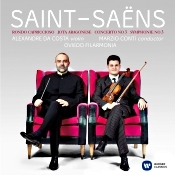 The second-movement Andantino is one of Saint-Saens's most memorable and haunting creations, and Da Costa does it proud, if at the expense of being perhaps a shade too literal. There is, after all, more than a touch of impressionism in the composer's music, and that seems to elude Da Costa a little. But it's a quibble, and most listeners will probably find the performance just fine. The third-movement finds Da Costa at his virtuosic best, with a good variety of reservation and outburst, and Saint-Saens's abundance of happy tunes easily carrying the day. Next, we get the Introduction and Rondo Capriccioso in A minor, Op. 28, for violin and orchestra, which Saint-Saens wrote in 1863, again for Sarasate. It's one of the composer's most-popular pieces, so recorded competition here is intense. Da Costa puts a good deal of Spanish flair into the Capriccioso, and even given the competition in this well-loved piece, Da Costa's recording should be one to consider. His command and execution are rock solid. After that we hear the little Jota Aragonese, Op. 64, for orchestra, written in 1880. In both pieces the Spanish orchestra appear to have this music in their soul. To close the program, we get a real barnburner: Saint-Saens's Symphony No. 3 in C minor, Op. 78, the so-called "Organ" symphony, which the composer completed in 1886. Saint-Saëns said of the work, "I gave everything to it I was able to give. What I have here accomplished, I will never achieve again." Oddly, though, he would live for another thirty-five years and write over 150 more pieces of music, but No. 3 would be his last full-scale symphonic work. Anyway, as you're aware, No. 3 isn't really an organ symphony at all but simply a symphony that happens to use an organ predominately in two of its four movements. As much as I liked the performance of the Third Violin Concerto and Da Costa's part in it, I liked the Organ Symphony even more. Maestro Conti provides plenty of energy and excitement in the piece, yet he also offers a well-nuanced Adagio in the middle. 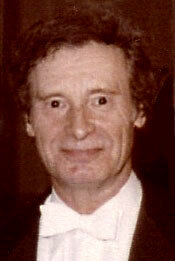 He judges the tempos appropriately, too, never rushing, never lagging, and building to terrific climaxes. When the organ enters in the second and final movements, Conti ensures we know and appreciate it, pacing the music to showcase its presence. Acacia Classics, under exclusive licence to Warner Classics, recorded the music at Principe Felipe Auditorium, Oviedo, Spain in 2014. In the concerto, the engineers miked the violin fairly close up and left of center, so it tends to dominate not only the music but the sound. In fact, the sound appears so skewed to one side that I had to stop a few minutes in and wonder if my playback system or my hearing had gone faulty. A quick check of several other recordings, however, revealed that all was right and proper with both my system and my hearing. So, be prepared for some left-side dominance here (or twist your balance control a bit to the right). Anyway, the violin sound is quite clear, as we might expect from such an arrangement, with a realistic tone and timbre. The orchestra is hardly noticeable behind the violinist most of the time, but it can be reasonably dynamic, too. Interestingly, when the music turns to the purely orchestral with the final two items on the program, the balance evens out left and right. So maybe the left-side favoritism in the violin numbers was intentional in order to further emphasis the instrument. Whatever, when the orchestra is on its own, it sounds quite impressive, with plenty of fullness, range, clarity, and impact, and even a modest degree of depth. Moreover, in the symphony the organ sounds part and parcel of the proceedings rather than appearing in another room as it does in some recordings. In addition, it has decent low-frequency power, although not as deep as on, say, the Fremaux EMI/Klavier or Munch RCA/JVC discs. The French School. Jan Kraybill, organ. Reference Recordings RR-133. Can you really think of anyone you'd rather have make an organ record than Reference Recordings? Well, anyone you'd rather have making any recording than Reference Recordings. 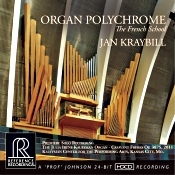 For over thirty years they've been producing some of the best audiophile recordings around, and their current release, Organ Polychrome: The French School, with organist Jan Kraybill is among their finest-sounding releases. In Organ Polychrome: The French School, Ms. Kraybill plays music intended to show off all the power and glory of the Julia Irene Kauffman Organ. She does so splendidly; it is all quite effective. The program includes the Allegro from Symphony No.6 in G minor by Charles-Marie Wider (1844-1937); a world premiere of Priere (Prelude in G minor) by Florent Schmitt (1870-1958); the Allegro and Pas vite from Deux danses a Agni Yavishta by Jehan Alain (1911-1940); Variations de Concert by Joseph Bonnet (1884-1944); Scherzo by Maurice Durufle (1902-1986); Prelude et Fugue in G minor by Marcel Dupre (1886-1971); Piece heroque by Cesar Franck (1822-1890); Caprice in B flat by Felix-Alexandre Guilmant (1837-1911); several items from Pieces de fantaisie by Louis Vierne (1870-1937); and the Grand-Choeur dialogue from Six pieces by Eugene Gigout (1844-1925). Starting with the Widor number is like starting a concert with an overture. It's big, it's colorful, it grabs you by the throat. Ms. Kraybill doesn't overplay it, though, or make it sound too bombastic; it just works as a good curtain-raiser. Then, Ms. Kraybill follows the big Widor tune with a world-premiere recording from Schmitt. He wrote it around the turn of the twentieth century, and it's quite sweet and expressive. Indeed, Ms. Kraybill's playing is also sweet and expressive, robust when needed, sensitive at other times. Very entertaining. And so it goes, with a variety of selections geared toward exhibiting all of the organ's many facets (and Ms. Kraybill's many performing talents). The delicate Alain piece is a special standout, with its vaguely Asian motifs and soft bass notes that wash over the listener like huge, warm waves at a beach. Then, too, Franck's well-known Piece heroique sounds strikingly handsome on this most-striking organ, producing a joyously successful result. And speaking of joy, the Guilmant track displays a wonderfully light, bouncy rhythm that's hard to dislike. Lastly, Ms. Kraybill goes out the way she came in, with a big, robust reading of the Gigout work that leaves the rafters rattling. Producers Marina A. Ledin, Victor Ledin, and Marcia Gordon Martin and engineer Keith O. Johnson made the album in 24-bit HDCD for Reference Recordings at Helzberg Hall, Kauffman Center for the Performing Arts, Kansas City, Missouri in June 2013. Unlike the last few organ recordings I listened to, which were swimming in cavernous hall resonance, this one exhibits just enough reverberation to let us know we're in a concert hall and show off the room acoustics yet also emphasizes the detail and clarity of the organ. The instrument sounds rich, wide-ranging, realistically distanced, deep, full-throated, powerful, and lifelike. Of course, we also get the all-important bass so favored of organ fans; the organ gets down to room-rocking frequencies in select tracks. This is obviously a recording that organ fanciers will enjoy. On Tuesday, October 14, 2014 at 8:00PM, the Emerson String Quartet gives its first Carnegie Hall performance with cellist Paul Watkins. Joined by internationally acclaimed pianist Yefim Bronfman, the program will be Beethoven's String Quartet in F Minor, Op. 95, "Serioso," Purcell's Chaconne in G Minor, and Britten's String Quartet No. 2 in C Major, with Mr. Bronfman joining the Quartet for Schumann's Piano Quintet in E-flat Major. Paul Watkins, a distinguished soloist, award-winning conductor and devoted chamber musician, joined the ensemble in May 2013 during its 37th season. Mr. Watkins' dedication and enthusiasm has since infused the Quartet with a rich tone and palpable joy in the collaborative process. He explains, "The extraordinary intensity surrounding a Carnegie Hall concert has the power to inspire musicians to give their very best. As the new cellist of the Emerson String Quartet, I will be honored and thrilled to share this stage with my three wonderful colleagues, along with the exceptional Yefim Bronfman." The Emerson String Quartet has an unparalleled list of achievements over three decades: more than thirty acclaimed recordings, nine Grammys (including two for Best Classical Album), three Gramophone Awards, the Avery Fisher Prize, Musical America's "Ensemble of the Year" and collaborations with many of the greatest artists of our time. In January 2015, the Quartet will be named Chamber Music America's Richard J. Bogomolny National Service Award recipient in recognition of its significant and lasting contribution to the chamber music field. World premiere recording of the Violin Concerto written for Anne Akiko Meyers included on The American Masters to be released September 30th on eOne. The recent recipient of the Heinz Medal in Arts and Humanities, Mason Bates is a seminal force in American music. In the coming season, the composer's works will fill the halls of major orchestras, including world premieres of three spellbinding new works in concert and on record. These include the composer's new Cello Concerto, with cellist Joshua Roman and the Seattle Symphony, and his acoustic "Anthology of Fantastic Zoology" with Ricardo Muti and the Chicago Symphony Orchestra – with whom Bates is in the final year of his tenure as a Meade Composer-in-Residence. Bates' new Violin Concerto written for and recorded by Anne Akiko Meyers has its first outing on record with the London Symphony, under the direction of Leonard Slatkin this fall as well. This season also marks the release of Bates's debut full-length symphonic recording, a tour de force of his biggest works; Alternative Energy, Liquid Interface, and The B-Sides, with Michael Tilson Thomas and the San Francisco Symphony. A composer who "knows how to command an orchestra just as well as he does his touchpad" (Washington Post), Mason Bates continuously demonstrates an uncanny ability to transform and update the sound of the traditional orchestra, while meshing influences from the great 19th Century symphonists with his pioneering orchestrations, inventive narratives, and electronic rhythms. On September 30th, the illustrious violinist Anne Akiko Meyer's 30th recording – The American Masters - will be released internationally by eOne, featuring the world premiere recording of Mason Bates's Violin Concerto which he wrote for Meyers who recorded it with the London Symphony Orchestra and Leonard Slatkin. Philharmonia Baroque Orchestra today announced that SESSIONS: The Nights of Madrid, the next installment in its new alternative concert series, will take place on October 10 at the ODC Theater in San Francisco's Mission District. SESSIONS: The Nights of Madrid will feature short works by Luigi Boccherini and Carl Philipp Emanuel Bach, led by music director Nicholas McGegan with renowned cellist Steven Isserlis as guest artist and KDFC Classical's Hoyt Smith as host and narrator. Tickets are $25 and include a free reception following the concert. SESSIONS made its debut in February 2014 with a sold-out program at the SFJAZZ Center. These short 90-minute concerts are designed to appeal to new audiences who may be less familiar with classical music. With Nicholas McGegan and guest artists sharing anecdotes about composers' biographies, describing the unique historical instruments that Philharmonia musicians play, and giving musical demonstrations from each piece before it is performed, the audience is treated to a witty musical guide that increases their enjoyment. Each concert is followed by a free reception, including wine and conversation with the conductor, guest artists, and orchestra members. SESSIONS: The Nights of Madrid features several well-known pieces by Luigi Boccherini, an Italian composer employed by the Spanish Habsburg court. His Musica notturna delle strade di Madrid depicts night-time street scenes from the Spanish capital. Boccherini's "Celebrated Minuet" will be instantly recognizable, having been quoted by Nigel Tufnel in This is Spinal Tap, and his Cello Concerto in G major is an elegant expression of the Classical spirit. The program is rounded out by Carl Philipp Emanuel Bach's Cello Concerto in A major, an endlessly inventive and technically challenging tour de force. The Orion Ensemble, winner of the prestigious Chamber Music America/ASCAP Award for Adventurous Programming, celebrates its 22nd anniversary with a benefit performance and party Saturday, November 15, at 11 a.m. at the Eagle Brook Country Club in Geneva, Il. Proceeds will help support Orion's performances and outreach efforts to young musicians. The event features a special concert by Orion with the setting of the Country Club's private fireside dining room as a backdrop for baroque music with harpsichord. After the performance, guests enjoy lunch and have an opportunity to help choose encore performances of works Orion has performed by buying votes for their preferred selections. The musicians mingle and chat with guests in this intimate setting. This event offers Orion fans an extra chance to enjoy the Ensemble's music while supporting its work. Orion's 2014-15 22nd Anniversary Season features four concert programs--in September/ October, November/December, March and May--at the First Baptist Church of Geneva, as well as at the Music Institute of Chicago's Nichols Concert Hall in Evanston and two Chicago locations: the Recital Hall at Sherwood, The Community Music School at Columbia College Chicago and the PianoForte Studios. The Orion Ensemble's benefit takes place Saturday, November 15, at 11 a.m. at Eagle Brook Country Club, 2288 Fargo Blvd., Geneva, Il. The requested donation is $75. For more information, call 630-628-9591 or visit orionensemble.org. Explore the limitless way in which music provides a new dimension to poetry and prose with the Mirror Visions Ensemble's 2014-2015 season performances and projects, led by Artistic Director Tobé Malawista. This season's schedule is an ideal example of the mission of Mirror Visions Ensemble – the commissioning, performing and recording of vocal chamber music. What began as programs built around individual poets and a fascination with multiple settings of the same text – a "mirror vision" – has expanded to include the commissioning of over 80 works from 24 composers. Each concert is designed in the soirée style made popular during the 19th century, introducing composers, poets and historical figures not only through their published works, but also through correspondence and anecdotes woven throughout each performance. Allowing the musicians and audience to indulge in their "foodie" inclinations, this popular program celebrating the delights of dining is centered around the MVE commission of Clean Plates Don't Lie – a cantata by Richard Pearson Thomas based on the menus and philosophy of renowned chef Dan Barber, originator of the farm-to-table movement. Barber's principles have changed the way many Americans approach farming and food, using art as a vehicle for explaining that relationship and furthering the important conversation of food and sustainability. The October tour covers San Francisco, Pasadena, Fullerton and Newport Beach with master classes at USC's Thornton School of Music and California State University at Fullerton. A special performance of this program will also be given at Williams College. The Minnesota-based men's vocal ensemble Cantus today announces their 2014-2015 national touring season and the October 7th release of A Harvest Home. With the new season, Cantus launches a brand new touring program - Anthem - and welcomes three new singers to the group. The ensemble also announces their eighth and final season of touring with the popular Christmas program All Is Calm: The Christmas Truce of 1914. American Opera Projects (AOP) is pleased to announce that it has been awarded a major grant from The Andrew W. Mellon Foundation. The $200,000, active through December 2016, will support artistic initiatives by AOP: the Composers & the Voice and First Chance programs. The primary focus of Composers & the Voice is to give composers and librettists extensive experience working collaboratively with singers on writing for the voice and contemporary opera stage. The First Chance program allows composers and librettists to hear their work, in part or in full, for the first time before an audience, and helps to develop new works for future performances by opera companies. By helping fund these and other upcoming American Opera Projects programs, the Mellon Foundation has ensured that AOP can continue to offer opportunities and insights to rising composers, librettists, and presenting institutions. AOP General Director Charles Jarden states, "we are grateful to The Andrew W. Mellon Foundation for this generous grant as it allows AOP to move forward with boldness and innovation. Our goal is to keep contemporary American opera vibrant." The seventh cycle of the Composers & the Voice (C&V) program will conclude this month with Six Scenes, a concert of opera scenes created in the program by this year's fellows. Performances will be held on Friday, September 12 and Sunday, September 14 at 7:30 PM, at South Oxford Space in Fort Greene, Brooklyn, home of AOP. Manhattan School of Music and UCLA Herb Alpert School of Music opera directors will be on hand to select scenes for further development at their respective conservatories. One of the world's most successful stage works receives a new magical interpretation in a production by director Barrie Kosky and British theater company 1927, in which performers interact with an animated film. After rave reviews in Los Angeles and Berlin, "The Magic Flute" premieres at Duesseldorf's Opera House on September 13, 2014 for performances through June 5, 2015. The fairy tale world of lovers Tamino and Pamina and their path to enlightenment after a series of tests and obstacles comes to new life in a production of "The Magic Flute" by director Barrie Kosky and British theatre company 1927. The show premieres at Düsseldorf's Opera House on September 13 after great success in Berlin and Los Angeles. Singers interact on stage with a hand-drawn animated film that follows Mozart's magic along with main characters Tamino, Pamina, and Papageno. There is hardly another stage work with as successful history as Wolfgang Amadeus Mozart's final opera, which premiered in Vienna in September 1791. Key to its success then, as now, is the visual and theatrical richness of the opera and its fantastic potential for the stage. Just like librettist Emanuel Schikaneder did with numerous and complex stage effects that amazed the audience at the original premiere, the new interpretation, conceived and produced by Barrie Kosky in collaboration with 1927, mesmerizes with its imaginative details and technical finesse. "You have to revel in the inconsistencies of the plot and characters and in the mix of fantasy, surrealism, magic and deeply moving human emotion," explains Kosky (duration: approx 2.5 hours, one interval). Düsseldorf's tourism office is offering hotel and city specials for many of the city's music and art events throughout 2014, including "The Magic Flute." The package, called "Düsseldorf à la Card," can be booked right from the tourism office's Web site at https://www.duesseldorf-tourismus.de/en/accommodation/hotel-packages/duesseldorf-a-la-card/. Prices start at €49 per night per person based on double-occupancy for a 2-3-star hotel in the city center and at €95 per person for a 4-star hotel. The package includes breakfast, one DüsseldorfCard (free public transportation within city limits plus 30 free or reduced admissions to city attractions), and a city information package. Please check the website for current information. For more information about the opera, show times, and tickets, please visit: www.operamrhein.de. The critically acclaimed series offers eight hours of music, including works by other major Soviet-era composers. The Pacifica Quartet's internationally acclaimed four-volume, eight-CD survey of Dmitri Shostakovich's string quartets on Cedille Records has been released as a bargain-priced boxed set. The Soviet Experience: The Complete String Quartets of Dmitri Shostakovich, plus quartets by Miaskovsky, Prokofiev, Weinberg, and Schnittke is notable for including quartets by some of the composer's most significant Soviet-era contemporaries (Cedille Records Box 1003). The suggested retail price of the CD boxed set is $33.98, half the cost of all four double-CD volumes purchased separately. The boxed set, comprising eight hours of music, was released September 9, with an eye toward the holiday gift season. In addition to Shostakovich's 15 string quartets, the series includes Nikolai Miaskovsky's String Quartet No. 13 in A minor, Op. 86; Sergei Prokofiev's String Quartet No. 2 in F major, Op. 92; Mieczyslaw Weinberg's String Quartet No. 6 in E minor, Op. 35; and Alfred Schnittke's String Quartet No. 3. The series, produced and engineered by multiple Grammy Award-winner Judith Sherman, was originally released in installments between September 2011 and November 2013. Beginning November 4, 2014, the Czech Philharmonic tours Costa Mesa, San Diego, Berkeley, Annapolis, Purchase, Northridge, Davis, Santa Barbara, Fairfax, and New York. The Philharmonic performs in renowned venues including Carnegie Hall, the National Cathedral, Segerstrom Concert Hall, and Copley Symphony Hall, among others. Guest artists include pianist Jean-Yves Thibaudet, violinist Josef Spacek, and the Prague Philharmonic Choir and soloists. The focus will be Czech composers: Janacek, Smetana and, in particular, Dvorak, to coincide with the international recording release of the complete concertos and symphonies on Decca. The Philharmonic's touring repertoire alternates between Dvorak 's 'New World' Symphony and his other moving masterwork, Stabat Mater. Jean-Yves Thibaudet and Josef Spacek join the Philharmonic for concerts performing Liszt's Piano Concerto No. 2 and Suk's Fantasy respectively. Also, Legends. Jose Serebrier, Bournemouth Symphony Orchestra. 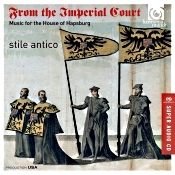 Warner Classics 082564628787-1. Uruguayan conductor and composer Jose Serebrier may have been in his late seventies when he recorded the present album, but clearly he has not slowed down since his debut with the American Symphony Orchestra in 1965. If anything, the autumn of his years has brought with it a mellowing yet still-vibrant maturity that seems perfectly suited to the material he conducts on the program, Dvorak's Legends and the appropriately autumnal Symphony No. 8. First up on the program are the ten small-scale orchestral pieces, Legends, Op. 59, which Czech composer Antonin Dvorak (1841-1904) wrote in 1881 originally for piano four hands and arranged the same year in the orchestral versions we have here. There is a good deal of variety in the pieces because the composer arranged each of them with slightly different orchestrations. Serebrier demonstrates an appropriate feeling for the Slavic influences heard throughout the works, so under his direction we get a good deal of dramatic flair mixed in with the more-tender moments. Also, because there is nothing really to hold the ten little individual items together, the conductor has to create a kind of unison among them himself, which Serebrier does through his obvious love and attention to detail. This is strongly emotional and highly Romantic music, performed with passion, to be sure, yet not with undue melodrama. 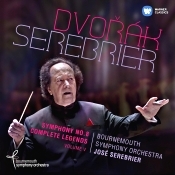 While I have to admit that listening to all ten of these Legends at the same time can be somewhat tiring toward the end, at least Serebrier is flexible enough to maintain one's attention, and you couldn't ask more from the Bournemouth orchestra. Then, we get the primary work on the disc, Dvorak's Symphony No. 8 in G Major, Op. 88, written in 1889. The piece is among the most-cheerful and poetic of Dvorak's works, the style and structure very much in the Czech Romantic tradition and the inspiration coming largely from the Bohemian folk tunes of the composer's native country. Dvorak marks the first movement Allegro con brio, with various themes calling upon the sounds of nature, like the birdsong of the flute, creating a sweet atmosphere. Things begin, though, on a somewhat sorrowful note, which quickly morphs into a pleasantly happy, dance-like melody. Serebrier takes the opening theme slowly and deliberately, so that when the change comes, it seems all the more radical and exciting. Under this conductor, it's a thrilling, uplifting change that nicely sets the tone for the rest of the work, without becoming bombastic or overwhelming. The second movement Adagio (slow, leisurely) starts out as the first movement did with a sort of dour quality of sadness and impeding gloom. Yet it, too, eventually gives way to an inevitably triumphant joy. Again, Serebrier handles it with supreme delicacy, creating transitions so smooth, you hardly know they're happening. In the third-movement, marked Allegretto grazioso - Molto vivace, we find a sort of dumka (a Slavic folk ballad alternating between sadness and gaiety), generally accepted as a vaguely melancholic waltz, followed by a lively close. Serebrier manages the waltz elements gracefully, bringing out their lilting, lyrical rhythms most tenderly. It's one of Dvorak's loveliest moments, and we're lucky to have people like Serebrier who know how to conduct it with simple elegance, without getting all sentimental on us. Dvorak fills the Allegro ma non troppo finale with Slavic dances and folk tunes, which the composer expected conductors to treat with energy but not too much so. Here, Serebrier ensures that we remember the symphony's smiling-bright disposition, infusing every note with good cheer. Even the middle section with its vaguely sinister overtones sounds ultimately optimistic under Serebrier. His is one of the more-inspired readings you'll hear of this work. Producer Chris Hazell and engineer Mike Hatch made the recording at The Lighthouse, Poole, England in February 2014. The sound can be slightly aggressive at times, with a prominent but not objectionable upper midrange. Still, you can't say it doesn't add a fair amount of definition and clarity to the presentation, and the result is mostly pleasing. The stereo spread appears wide and deep, providing a realistic impression of the orchestra's dimensions. Frequency range and dynamics are also up to the occasion. Unless you're playing the music exceptionally loud, the sound remains quite comfortable. 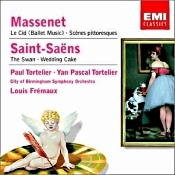 Also, Scenes pittoresques; Saint-Saens: The Swan; Wedding Cake. Louis Fremaux, City of Birmingham Symphony Orchestra. EMI Classics 7243 5 75871 2. This Le Cid ballet music recording from Louis Fremaux and the City of Birmingham Symphony Orchestra (England) brings back a lot of memories. Recorded in 1971 for EMI's Studio Two line, it found its way to my attention quite by accident a couple of years after EMI made it. Back in the mid Seventies I was compiling a list of favorite audiophile records for a magazine article, and I had asked everyone I knew for their recommendations. Everybody contributed: high-end audio dealers, audio engineers, record and equipment reviewers, and various "golden ears," about thirty people in all. As you may have already guessed, this recording of Le Cid figured high in the final tally. It not only contained a great performance of the music, it sounded state-of-the-art. As luck would have it, though, by the time I tried to buy the recording, EMI had already withdrawn the original Studio Two vinyl disc, replacing it with a low-priced issue in their Greensleeves line. It was still plenty good, with a tremendous dynamic range and a whopping big bass. And the next time it showed up on LP in America was on the Klavier label. Then came the CD age, and it appeared both in EMI's mid-priced Studio line and on a Klavier silver disc. The EMI release retained the vinyl's warmth, but the slightly leaner-sounding Klavier disc sounded more transparent. Then Klavier issued the recording on a 24-karat gold-plated disc that I eagerly brought and still own. Unfortunately, Klavier didn't keep it around for long, and today it's rather hard to find and costly if you do find it. However, the budget-priced EMI Classics edition under review came out in 2003 and to me sounded identical to the earlier EMI Studio CD transfer, which I had always liked. In any case, it appears that one can still easily find the EMI budget disc, and for the measly few bucks it costs, any listener interested in good sound and good music might want to consider it. The ballet music comprises bits and pieces of the orchestral music in Massenet's opera, and conductor Fremaux and his Birmingham orchestra provide a vigorous, zesty tableau of the Spanish-flavored tunes. In addition, you'll find on the disc Massenet's Scenes pittoresques and Last Sleep of the Virgin, plus Saint-Saens' "The Swan" from The Carnival of the Animals and his Allegro appasionato, Caprice for Violin and Orchestra, Le Deluge prelude, and Wedding Cake waltz, the former pieces with Paul Tortelier on cello and Yan Pascal Tortelier on violin. In sound that is still demonstration worthy, especially in the El Cid music, the disc qualifies as a unique bargain. Fantasies on Don Giovanni and Der Freischutz. Tianwa Yang, violin; Ernest Martinez Izquierdo, Orquesta Sinfonica de Navarra. Naxos 8.572276. Spanish composer and violinist Pablo Martín Melitón de Sarasate y Navascués (1844-1908) had a talent as big as his name. He was one of those composer-virtuosos who dominated the eighteenth and nineteenth centuries, people like Mozart, Chopin, Paganini, and Liszt, who not only wrote great music but dazzled audiences with their virtuosic playing of it. I suppose the only one close to them in the twentieth century might be Sergei Rachmaninov; you get the idea. 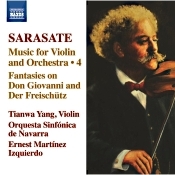 Anyway, to celebrate the music of Sarasate, Naxos embarked a few years ago on a series of discs with violinist Tianwa Yang, of which this one is number four. It contains two longer works--Fantasies on Don Giovanni and Der Freischutz--and six shorter pieces. First up are two of the short pieces to set the stage: the Introduction et Tarantelle, Op. 43, and the Jota de San Fermin, Op. 36. These are sprightly works, with Ms. Yang showing off her dexterity and intense performing skill and the Symphony Orchestra of Navarre under Ernest Martinez Izquierdo most congenial in their support. Sarasate was solidly in the Romantic vein right up until the day he died, so expect a flow of lush melodies throughout. A jota, incidentally, according to my Random House Dictionary is "a Spanish dance in triple meter, performed by a couple and marked by complex rhythms executed with the heels and castanets." 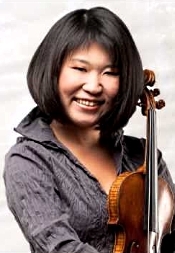 Certainly, one must include the Introduction et Tarantelle among Sarasate's most-popular pieces, and when you hear Yang play it, you understand why. It's lilting and soaring and tuneful, with parts for both lovely slow playing and flashy fast showmanship. The jota also has enough variety and virtuosity to keep one engaged, and again Yang's playing is sensitive and alert. If there is any minor issue, it's that one almost forgets there's an orchestra playing behind her. Yet if you make yourself conscious of it, it plays along with enthusiasm. Next, we find the centerpieces of the program: the Fantaisie sur le Don Juan de Mozart, Op. 51, and Fantaisie sur Der Freischutz de Weber, Op. 14, each about ten or twelve minutes long. Sarasate did a number of fantasies (around eight, I believe), and here we get an earlier and a later such work. The Mozart and Weber fantasies are, of course, medley pastiches, and as such some listeners may look down on them for their lack of originality. But Yang plays them with great dignity and refinement, and one cannot help admire their sheer elegance. And who can deny that Sarasate wasn't passing along great music? To conclude the album, we get three more short pieces--the Jota de Pamplona, Op. 50, the Airs ecossais, Op. 34, the L'Esprit follet, Op. 48--and the longer (relatively speaking at eleven minutes) Le Reve, Op. 53. Of these final works, the Jota de Pamplona has a jaunty bounce, and Yang captures what seems to me a genuine Spanish flavor with her expressive playing. In Airs ecossais ("Scottish Airs") as the name implies Sarasate gives us a break from Spain and a whiff of Scottish atmosphere, with much in the way of Scottish folk tunes. Yang seems equally at home in the music as she did in the Spanish-flavored numbers. Then Yang delivers the penultimate item, Le Reve, exquisitely and even does a little showing off of her own in the closing track, L'Esprit follet ("The Will-o-the-Wisp"), which sounds as though she must have four hands and twenty digits to execute it. Understand, as this is volume four in a series, Yang had already done a lot of Sarasate's most-popular material in earlier editions, things like the Carmen Fantasy and Zigeunerweisen. Nevertheless, a big part of the composer's music is entertaining enough to warrant a listen, and Yang's playing is so felicitous it's hard not to want to hear more. This is a delightful album in every way: good music, a good soloist, good accompaniment, and audio reproduction that is up to the task. Producer and engineer Sean Lewis recorded this fourth volume of Sarasate's music at Baranain Concert Hall, Pamplona, Spain in November 2009, and Naxos released the disc in late 2013. I gather from these dates that Ms. Yang and the orchestra recorded all of the Sarasate music at about the same time, and Naxos released the various editions a year apart. The violin is clearly out in front, perhaps a tad more so than one would hear a soloist in a live concert. Nevertheless, the violin has a pleasantly smooth, rounded sound that is pleasant to hear--not bright or edgy as some close-up violins can be. The orchestra appears spread out behind the soloist in a fairly resonant acoustic that provides a pleasing ambient glow for the music making. Clarity, dynamics, and frequency response are all more than adequate for the occasion and offer further satisfaction by way of easy listening. Joyce DiDonato, mezzo-soprano; Riccardo Minasi, Orchestre et Choeur de l'Opera National de Lyon. Erato 08256 463656 2 3. American mezzo-soprano Joyce DiDonato is a performer who has proved her worth over the past decade or so, becoming one of the world's truly great singers. Gramophone magazine awarded her "Artist of the Year" status in 2010, and one can understand why after listening to any of her albums, like this latest one, Stella di Napoli. Although Ms. DiDonato began early on in her career specializing in vocal music of the Baroque and Classical periods, she has greatly expanded her repertoire since then, and the present album finds her in the early Romantic period of Italian bel canto opera. Ms. DiDonato explains it this way: "When I look to the early nineteenth century in Naples, I envision a world like that of Andy Warhol's neon-lit New Your City int he '60s, or Gertrude Stein's Paris of the '20s: a hotbed of creativity, rife with bold risk-taking, volcanic artistic output which radically altered the existing artistic landscape. It here in Naples that star after star was born, melody after melody, and to connect to this vivid, arrestingly emotional time of 'beautiful singing' now in the early twenty-first century lights up my musical and artistic soul like a supernova. Benvenuto a Napoli!" On Stella di Napoli ("Star of Naples") Ms. DiDonito sings ten less-than-well-known arias by seven Italian composers: "Ove t'aggiri, o barbaro" from Stella di Napoli and "Flutto che muggi" from Saffo by Giovanni Pacini (1796-1867); "Dopo l'oscuro nembo" from Adelson e Salvini and "Tu sola, o mia Giulietta..." from I Capuleti e I Montecchi by Vincenzo Bellini (1801-1835); "L'amica ancor non torna..." from Le nozze di Lammermoor by Michele Carafa (1787-1872); "Riedi al soglio" from Zelmira by Gioacchino Rossini (1792-1868); "Se fino al cielo ascendere" from La vestale by Saverio Mercadante (1795-1870); "Par che mi dica ancora" from Elisabetta al castello di Kenilworth and "Io vi rivedo alfin..." from Maria Stuarda by Gaetano Donizetti (1797-1848); and "Lasciami" from Il sonnambulo by Carlo Velentini (1790-1853). Ms. DiDonato finds able support from Maestro Riccardo Minasi and the Orchestra and Chorus of the Lyon National Opera. Ms. DiDonato possesses a robust lyric-coloratura, mezzo-soprano voice, over which she maintains a good deal of control and flexibility. The ten bel-canto numbers found on the program amply confirm the beauty of her voice and her versatility in using it. The opening number from Stella di Napoli clearly demonstrates Ms. DiDonato's range and adaptability. The song itself offers a number of passages that require her to be rather gymnastic in her virtuosity. In fact, the tune is a bit over-the-top musically, with its variety of elaborations, so the soloist gets a chance to show off her skills from the very outset of the program. It does make quite an impression. Things settle down after that, with the Bellini selection being tranquil and serene as well as luxurious. And so it goes. The Carafa aria is dramatic and emotive in a largely subdued manner; Rossini is Rossini: robust and showy, with big outbursts from the singer and orchestra; likewise, Donizetti is Donizetti: lightly romantic, lilting, and melodious, with an especially persuasive use of a keyboard glass armonica; and so on. Throughout every track, Ms. DiDonato shows her mastery of the material. It's a beautiful album from an artist at the top of her game, even though I am not particularly partial to opera and would have preferred a complete opera rather than bits and pieces of things. To complete the package, Erato/Warner Classics provide a generous booklet of commentary and librettos, plus a light cardboard slipcover for the jewel case. Producer and editor Daniel Zalay and engineer Hugues Deschaux recorded the songs at Opera de Lyon in October 2013. The orchestral sound is quite dynamic, with strong impact when needed. It also appears nicely balanced--among the instruments themselves and with Ms. DiDonato's voice. The all-important voice is smooth and rounded in a very natural way, sounding most lifelike. I would have liked to hear a bit more depth to the orchestra and chorus, though, which tend, at least at times, to sound in the same plane as the soloist. Well, maybe they were; what do I know. Anyway, the sound is good for a vocal recording: not at all bright or edgy in the loudest passages.